4to. 16p. 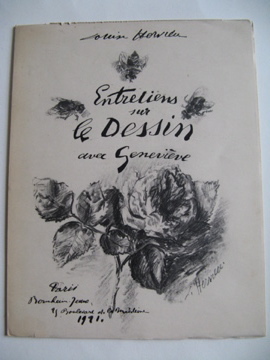 2 full page drawings with additional drawings to front and rear covers by the author. 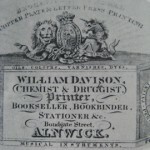 Housed within a folder of quarter faux vellum, lettered in black to the spine and with brown printed paper sides in complimentary slip-case, as published. The work is based on discussions by Louise Hervieu [1878-1954] with Genevieve Dore [1907-1936] and is a drawing manual for the young. NOTE:- It is extremely rare in any edition. we have not located a copy of an edition of this early date. Slight rubbing to paper sides of folder and case. Early signs of splitting to upper joint of folder. 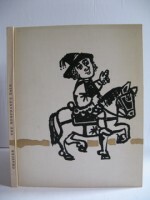 Chaucer-Merchants Tale.Translated into Modern English by Neville Coghill, with illustrations by Derek Cousins. Together with the version printed in the 1868-79 edition of the Ellesmere Manuscript.Limited edition of 200 copies (this numbered 156). Printed and bound by the Lion and Unicorn Press at the Royal College of Art, London. Illlustrated by Derek Cousins.